A key challenge in B2B and B2C applications involving dynamic composition of workflow activities is to ensure their reliable execution, in view of frequent failures in the internet environment where a composed service is executed. Existing approaches for transactional coordination of composite web services, consider forward and backward recovery alone, in order to maintain consistency in the case of failures. However, while achieving reliable execution, service cancellability is important due to the predominance of long running processes in business applications and frequently changing user requirements and business policies. If the execution of a long running process is not cancelled in the case of a changed requirement, the completion of the process results in wastage of resources and the outcome may no longer be useful. Hence, a transactional coordination framework named as Tx-FAITH is proposed to handle the cancellation recovery under the external interruption and cancellation of transactions. 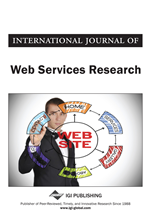 Tx-FAITH considers hierarchically composed web services whose components are recursively nested to form a composition and adapts a coordination approach based on context information. The proposed coordination and recovery approach when tested with 200 simultaneous users and with a database size of 0.35 million records, incurs only 10 seconds to process a request. A workflow model representing the control flow of a Business-to-Business (B2B) or Business-to-Consumer (B2C) application contains several activities whose executions are based on the semantics of workflow patterns (van der Aalst et al. 2003). With the development of Internet applications, transactional support for workflow processes has evolved into services that provide more attention to communication, distribution, and coordination aspects (Gray et al. 1993). The challenge in e-Business is to integrate distributed applications into a corporate process which enables data and control flow between various organizations. Such applications must be used as ready-to-use services by integrating them in a loosely coupled manner. Web Services (WS) and Service Oriented Architecture (SOA) (Erl 2005) are popular paradigms that are gaining prominence in supporting Business Process Management (BPM). A stack of web service standards such as WSDL, UDDI, and SOAP are defined to build platform independent services. The technology behind web services and SOA have proven to be successful in integrating autonomous applications in dynamic, heterogeneous, and distributed environments. A composite service comprising of several component services can be viewed as a workflow. A composite service provider may implement few core functionalities, while outsourcing other functionalities. Some of these functionalities may be offered as composite services represented by a nested workflow. Coordination of execution of such hierarchically composed workflows gains importance in business applications. In order to cater to the new features of transactions executed by web services, various web service transaction protocols such as Business Transfer Protocol (BTP) (Ceponkus et al. 2002), WS-Coordination (WS-C) (Carera et al. 2005), WS-Composite Application Framework (WS-CAF) (Bunting et al. 2003) had been released from OASIS (Advancing Open Standards for the Information Society). The applicability and role of these three protocols have been identified and analyzed (Kratz 2004; Little et al. 2003; Husemann et al. 2007) by many authors. Leymann et al. (2005) identified the shortcomings of WS-C such as its inability to query the coordination state. The authors had mentioned the coordination rules and parameterization of coordinators by clients, but did not relate these concepts to transaction management. Though the problem of long-running transactions with web services was addressed by BTP and WS-C standards, interoperable transactions have not been considered. Kratz et al. (2004) presented a comparison of web service transaction standards. It concluded that a unified operational standard is essential to realize interoperability, by integrating existing specifications within WS-CAF framework. However, the work on WS-CAF specification has no longer been continued by OASIS. In summary, existing standards that propose to implement web services transactional coordination protocol are not adequate for handling hierarchically composed interoperable services belonging to different organizations.